Does Career Cluster Inventory tell you what you can be or should be? NO! No software can do that. ​Only YOU can decide what to do with your life. 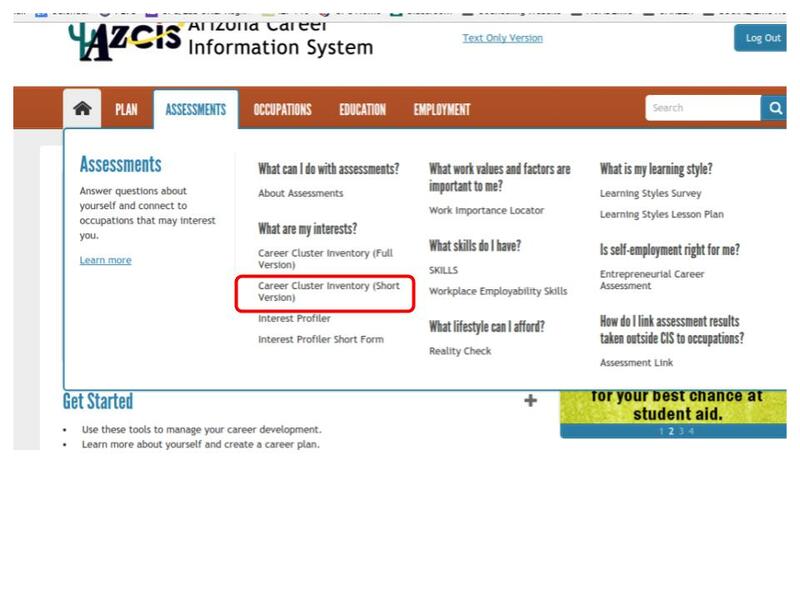 THE CAREER CLUSTER INVENTORY CAN HELP YOU NARROW DOWN YOUR CHOICES. 1. 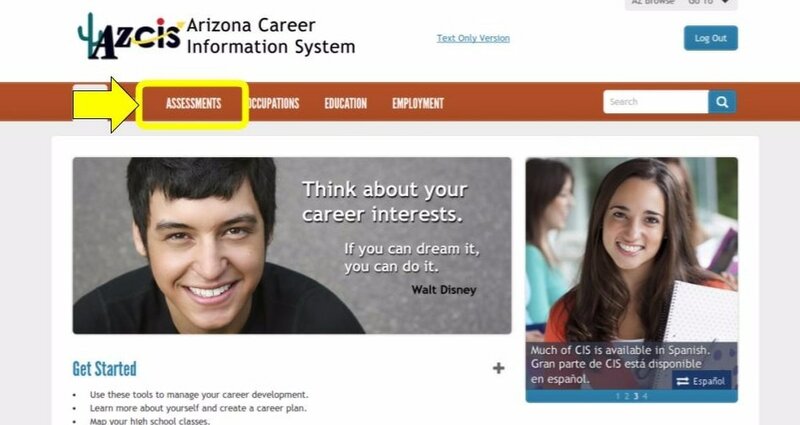 Navigate to Arizona Career Information System (AzCIS). 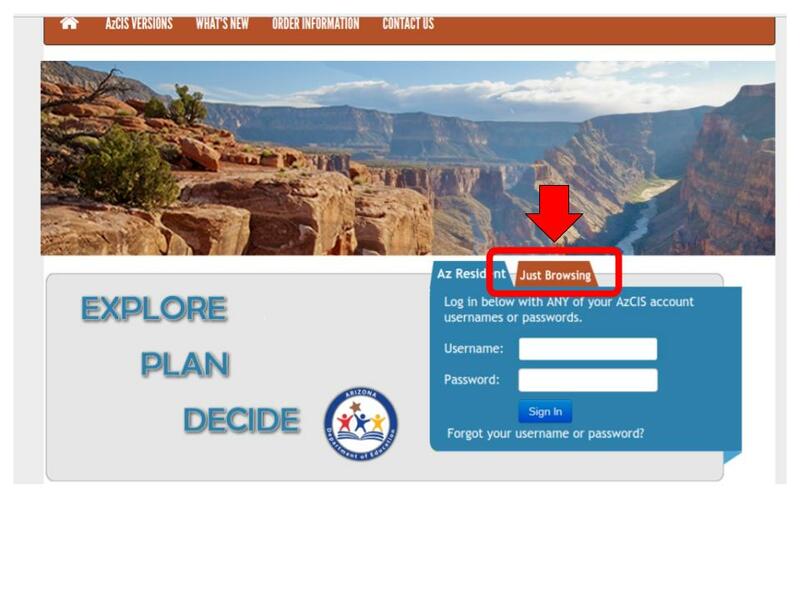 ​click on the "Just Browsing" tab. b.) SELECT "Career Cluster Inventory (Short Version)"
​"Rate the Activities" to begin. Here, you will rate 50 activities on how much you think you would enjoy doing them. Most of these activities are things you have done before. Think back to when you did the activity (for example, asking someone to sponsor you in awalk-a-thon). Did you like asking that person to donate money? Rate that item for how much you liked it. ​Some of the activities are things you have not done before. For each activity, take a minute to imagine doing it. For example, what would it be like to act in a school play? Would you like it? Would you dislike it? Not sure?